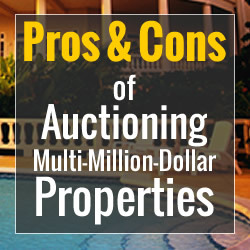 There are many reasons real estate auctions are viewed in this fashion when it comes to the sale of multi-million-dollar properties. After all, auctions were the chief tool used to liquidate many properties during the Great Depression, and the images of those sales on the courthouse steps have burned deep and lasting impressions into America’s memory. Additionally, financial institutions and courts still hire auction companies to perform ”bulk” or “liquidation” sales in order to clear excess real estate inventory or to jettison unwanted or non-performing real estate assets, mostly at very low price points. However, there has always been a relatively small, but strong contingent of the real estate auction marketplace dedicated to the sale of multi-million-dollar properties on behalf of sellers who are not in any type of financial distress. In recent years, the niche occupied by these firms has been growing, as more wealthy property owners begin to understand the important role auctions play in luxury real estate markets. Despite the growth of these firms, there is still some debate about the real estate auction process, and how it compares to the traditional listing process. 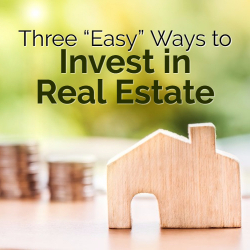 While there are many metrics by which these methods of selling real estate can be compared, the following are the chief points on which a simple comparison can be made. (Keep in mind this analysis is primarily geared towards the sale of multi-million-dollar properties, which come with their own unique considerations that may not apply to the broader real estate market). The “Time Value of Money.” While this principle has been explained in many different ways, it essentially focuses on the value (or buying power) of money today, versus the value (or buying power) of that same amount of money in the future. In many luxury marketplaces, especially secondary home or vacation areas, listings languish on the market for extended periods of time. Unfortunately, time literally is money, as there are significant costs to carry and maintain these properties, which over time chews into the total amount of cash the seller ultimately gains upon sale. In an auction, a sale is often achieved within 4 to 6 weeks, with the closing 3-5 weeks thereafter. This dramatically reduces the seller’s costs of carry and in turn, increases the cash in his pocket upon sale. Certainty. 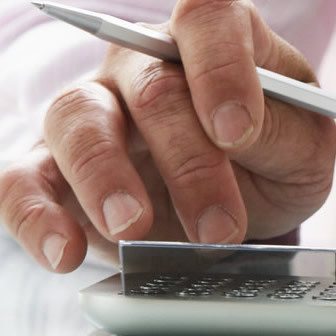 In the traditional listing process, there is almost no sense of certainty. After the For Sale sign is placed in the front yard and the initial burst of brokerage marketing is completed, even the best agents often resort to playing the waiting game until a buyer (hopefully) comes along. There is no ticking clock and no time pressure on the buyers to perform. In an auction, there is a specific date of sale and a well-defined timeline on which the property is marketed to the public. This creates tremendous time pressure, which forces buyers to perform when they otherwise might have sat back and waited for yet another reduction in the listing price. Confidence in Finding Real Market Value. Often times, it is difficult to identify the market value of unique luxury properties. As such, real estate agents and sellers often list properties at the highest potential price (a figure which is rooted largely in guesswork rather than in verifiable data). This places them out of touch with real buyers, who always view the seller’s property through a different lens. As a result, offers from buyers are rare, and when they do come, they are likely based on the buyer’s best attempt at a metrics-based price, which is often not aligned with the seller’s potential price. In a properly staged auction, buyers are encouraged to name their own price for the property. When the thorny issue of asking price is removed from the equation, previously disinterested or hesitant buyers become excited about the opportunity to place their own value on the property without worrying about market metrics or what the seller wants. This results in a pool of buyers who are vying for the property at the same time (that is, Competition: every listing broker’s dream). Through the competitive bidding process, the true market value of these unique properties is discovered. And because many buyers have competed to pay the (presumably) highest and best price their competition will bear, it creates a quite literal definition of the term True Market Value, giving the seller confidence that he has sold for the right price. No Negotiations. No Contingencies. No experienced luxury real estate professional ever counts his money until the closing has occurred. This is because high-net-worth individuals are especially shrewd negotiators. They’re also particular about their inspections and due diligence. As a result, more than half of the contract offers for luxury properties never make it to closing. In an auction, there are no such negotiations or contingencies. The terms of the sale are generally very straightforward, and much of the due diligence has been done in advance for the buyer’s review. The buyer then owns the property once “the hammer falls” at the auction, and risks a default and significant financial penalty if he does not close on the property. Because of these stiff penalties in a buyer default, it’s extremely rare for an auction buyer to rescind on a purchase. The Best of Both Worlds. One of the most important points to consider when comparing auctions to the traditional brokerage process is in fact not a point of comparison at all. Most luxury auction companies endorse a “Best of Both Worlds” approach in which the auction firm and the existing listing brokerage cooperate for the auction sale. This offers the seller a myriad of benefits, such as two streams to source buyers, two marketing prongs, and additional manpower. Not to mention, as most auction firms operate at a regional or national level, they do not possess the intimate, nuanced knowledge that is required to effectively operate in some of these luxury niche markets. The “local” agent can therefore bring his precise market knowledge into the auction program, amplifying the auction firm’s procedural expertise with his geographic market expertise. Make sure the appraiser knows the neighborhood. Sellers can request that the lender send a local appraiser; if that still doesn’t happen, owners should supply as much information as possible about the quality of the neighborhood. Provide your own comparables. Sellers should provide the appraiser with at least three solid and well-priced comparable properties. This will save the appraiser some work, and ensure that he or she is getting price information from homes that really are similar to the one being appraised. Document home improvement projects. Sellers should provide before and after photos, along with a well-defined spreadsheet of what was spent on each renovation, which should persuade an appraiser to turn in a number that far exceeds what he or she first called out. It’s important to highlight all-important structural improvements to electrical systems, heating and cooling systems – which are harder to see, but can dramatically boost an appraisal. Showing receipts also may be helpful. To determine the value of a property, appraisers are supposed to review purchase prices of similar, nearby homes that sold in the past six months. But when a property is much pricier than others in the neighborhood, it can be hard to find similar examples close by. As a result, their asking prices are often out of whack with values that are later determined by appraisals. “The higher you go up the ladder in value generally the less data you have,” says Danny Wiley, chief appraiser for LSI, an appraisal-management company based in Irvine, Calif.
To find relevant numbers, appraisers in many cases have been digging up older sales as far back as five years ago, consulting current listing prices that might not reflect what buyers are actually paying for a property and even looking at sales prices in other markets. Further complicating matters, some luxury real-estate values are partly determined by the services and amenities in that neighborhood. City cutbacks in police patrols, fire services, park maintenance and school-district funding can also contribute to lower property values. For sellers and buyers, the process often results in an appraisal amount that’s below the agreed-upon purchase price of a home. Lenders, in turn, will typically lower the mortgage amount that they’ll give a buyer, leaving the buyer to make up the difference, often with a larger down payment. Another scenario: The buyer refuses to pay more than the appraised amount and renegotiates the purchase price with the seller. And if that fails, buyers can decide to walk away from the deal. On average, one-third of real-estate agents said the appraisal process resulted in buyers and sellers delaying or canceling contracts or renegotiating to a lower sales price last year, according to a National Association of Realtors’ monthly survey of roughly 3,000 agents. That’s up from less than 10% in 2008. Experts say this figure could grow going forward as the luxury real-estate market continues to surge. Appraisals can undervalue properties when markets are rising because they look backward at lower valuations. Some appraisers may not adjust for the discrepancy, he says. It’s not just home purchases that are at risk. Homeowners trying to refinance can also be burned. With private jumbo mortgages, if the appraisal indicates that the borrower’s loan amount is more than 80% of the value of the home, the borrower will likely have to put more money down if he wants to proceed. In other cases, a lower appraisal could keep borrowers from getting the lowest rate possible. For decades now, the Bay Area has been one of the most expensive regions of the US and even “The World”. Right now, Bay Area home prices are at an all time high. The median price paid for a home in the 9-county Bay Area in June was $735,000. If you only include the “inner” counties of the Bay Area (Marin, San Francisco, San Mateo, Alameda, and Santa Clara), that figure is well over $1,000,0000. The income needed to buy a median-priced home in the Bay Area has more than doubled since 2012. That striking bit of news comes from a 2nd quarter report by the California Association of Realtors. It shows that a minimum income of $90,370 was required 5 years ago to purchase a median-priced single-family home of $447,970 in the 9-county Bay Area. Today, the minimum necessary income has climbed to $179,390 while the median price has ratcheted up to $895,000 for the Bay Area. And while that $179,390 might get you something in Alameda County (where the median home price is $880,000) or Solano County ($412,000), it’s not likely to get you anything in San Francisco ($1,450,000), San Mateo County ($1,469,000) or Santa Clara County ($1,183,440). Home Price Affordability is at somewhere between 12 and 19% for the inner Bay Area counties (12% for San Francisco, 14% for San Mateo, 17% for Santa Clara, 17% for Marin, and 19% for Alameda) This means, for instance, that only 12% of San Francisco residents can afford to buy a median priced San Francisco home (~1.5M), even with a 20% down payment in hand. This percentage is calculated based on the median household income for residents of the given county, the minimum qualifying income for a median priced home with 20% down payment, and assuming that no more than 30% of the household income is used for the housing payment. 3 Bay Area Counties are among the top 10 least affordable counties in all of the U.S. This is based on the highest % of an individual’s annual wages needed to buy a median-priced home. By that measurement, Marin County is actually the #1 least affordable county in all of the U.S. at 126.4% of (average) income required to buy a median priced home! Santa Cruz County comes in as the #3 least affordable county in all of the U.S. with 112.3 % (of income required to buy a median priced home). And San Francisco is the #7 least affordable county in the U.S. at 90% (of income required to buy a median priced home). Thinking of moving out of the Bay Area because of this craziness? By comparison, Tennessee, for example, is filled with affordable counties. In RoaneCounty, part of the Knoxville metropolitan area, just 10.1% of one’s annual income will get you into a median-priced house. Average annual wages there are $60,294 and the median-priced home costs just $85,000. Compare that with MarinCounty, where average annual wages are in the same ballpark — $67,223 — but the median price of a home is a whopping $1,160,000!! The median household income for a Colorado Springs (CO) resident is $54,228 while the median home price there is $252,800 (~ 4x’s the median income). The national average median income in 2015 was $56,516. For San Francisco, it was $88,518—substantially more than the national figure, but a clear indication that most San Franciscans pay over 40% of their income just for a roof over their heads. In fact, the latest figures for San Francisco reveal that the share of income spent on rent is 46%, way up from 31% historically. And the share of income spent on mortgage payments is 41%, up from 39% historically. 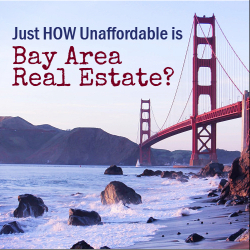 In my opinion, the affordability constraint is the main thing holding Bay Area homes prices from going up at a sharper rate than they already are. It will be interesting to see if the massive disparity between income and home prices eventually starts to discourage a lot of tech workers from coming to the Bay Area and/or encourages more to move out of the Bay Area. Up and coming metro areas like Portland, OR, Austin, TX, Raleigh, NC, and parts of Colorado have well established technology centers and home prices which leave room for a lifestyle where a majority can actually “own” a house (or Townhouse/Condo) and for renters to at least have a decent amount of money left over from each pay check to save or spend for leisure.